MÁJEN Certification Training is the premier certification specialist in Northern Nevada, training thousands of people since 2001. We provide Medication Management Certification and re-certification for Assisted Living Facilities, as well as CPR, AED, and First Aid Certification to all companies, organizations, and institutions within the state of Nevada. We also offer a Certified Nursing Assistant program. It is our goal to provide you with quality education in compliance with your regulatory requirements. 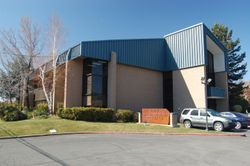 We are located in Reno, NV near the airport. Our facility accommodates thirty students and provides ample space for learning various skills in a classroom setting.